The same issue around sortation holds true for the garment or textile recycling sector as well. Garment recycling is a key component of reducing the garment industry's enormous carbon footprint, but its potential is still not fully realized due to a lack of technology being readily available to this application, particularly when it comes to sorting. Garment recovery and reuse for charity purposes is an important component of the recycling effort, accounting for roughly 50 percent of recovery in countries such as the Netherlands, in addition to other clothing reuse niches. The other 50 percent, however, must be sorted – still often manually. In addition to the exhaustive labor requirements associated with manual sorting, difficulties in identifying specific fabrics have resulted in inadequately sorted textiles being used for generally more low-grade applications such as stuffing or rags, rather than recovered for higher grade applications where such material could supplement the use of virgin fiber. To address this need, one important initiative has been Textiles for Textiles (T4T). This project was aimed at creating automated sorting technology for textiles and clothing, with the support of European Commission’s eco-innovation initiative, which helps fund a number of environmental initiatives, including materials recycling and recycling processes. The technology is based on sorting fiber by composition and color, accomplished through the use of near-infrared (NIR)-spectroscopy technology, which is widely used in automated sorting applications for other segments of the recycling industry, such as PET recycling. The project had a budget of over 1.3 million Euros. After first going through a manual sorting process to segregate that clothing which is still usable and can be saved, the remaining garments are then are fed through the automatic sorting system for shredding. Resulting in long fibers can be utilized in products such as clothing and home textiles, while shorter fibers are directed toward non-woven applications in insulation, personal hygiene and automotive. The environmental impact reduction associated with the use of recycled fibers is impressive, according to the development group. 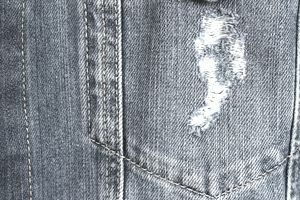 In a pilot project with a jeans manufacturer, the energy savings of recycled fiber versus virgin was 53 percent, while the water saving amounted to 99 percent, and the chemical saving was 88 percent. Click on the link to see the textiles4textiles video. A key to the success of the automated sorting technology will in successfully fiber-sorting large volumes of material accurately, including the large amounts of low-grade non-renewable textiles that are collected, and directing them towards industrial chemical recycling operations. According to Circle Economy, "If successfully commercialized, the FIBERSORT machine could change the textile recycling landscape, as efficient fiber-sorting technology is the key to unlocking the value of post-consumer textiles and creating a tipping point for a closed loop textiles industry." Aside from optical sorting, other approaches that have been explored include RFID or barcoding technologies affixed to garments to facilitate sorting.